3.850,00 EUR 19 % VAT incl. 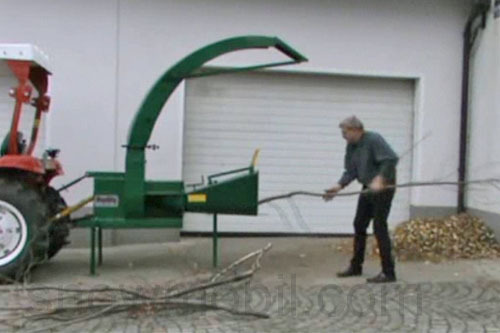 This wood chipper is a wood chipper in a class of its own. This shredder impresses with its simple design. 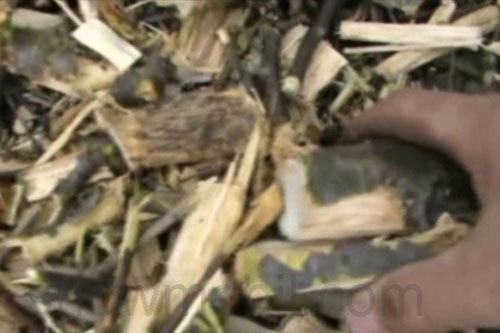 It shred fresh soft wood up to a thickness of branches of 7 cm and old dry wood up to a thickness of branches of 5 cm. 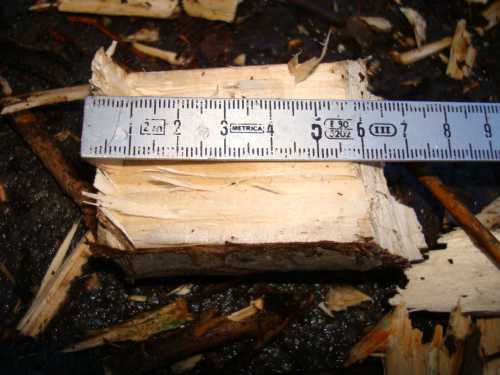 The chips of wood have a length of 5cm. 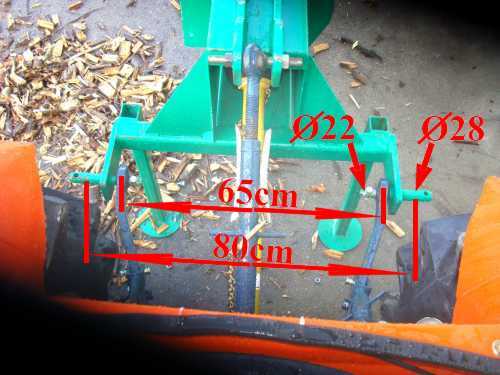 This is predetermined by the distance between the blades on the cutting roller / spiral shredding roller. 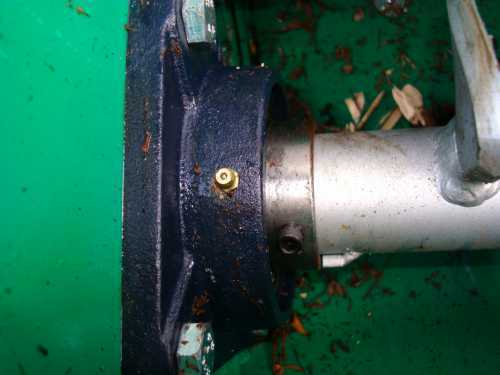 This cutting roller / spiral shredding roller is screwed by means of two bearing blocks on the chipper. 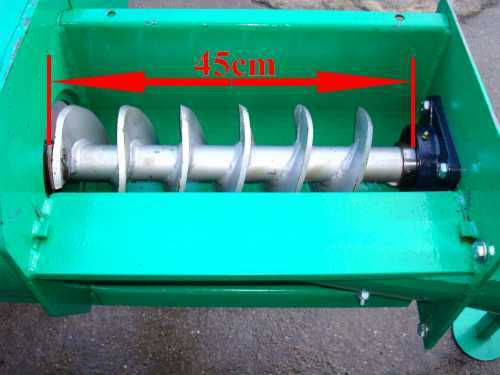 The end of the cutting roller / spiral shredding roller goes directly to the PTO. 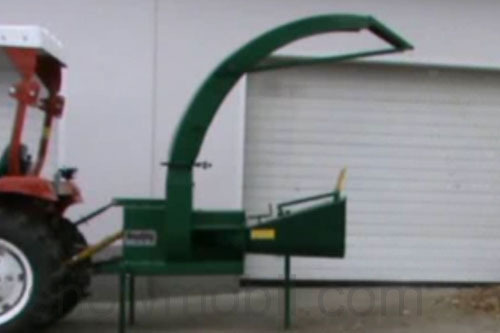 The ejection of the chips happens through a high output hopper. A counter plate is arranged tapered to the cutting roller / spiral shredding roller. An additional cutting blade at the end implements a clean cut of the wood piece. 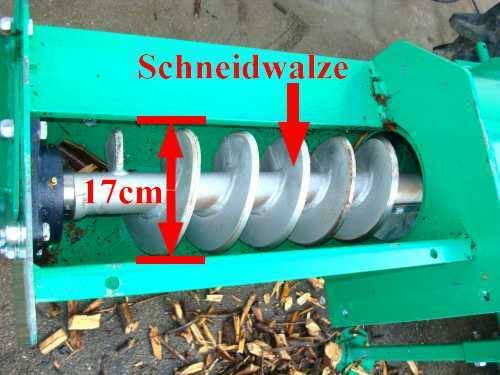 Due to this technical arrangement, it is possible to get 5 cm long pieces of wood, which are ideal for heating purposes. 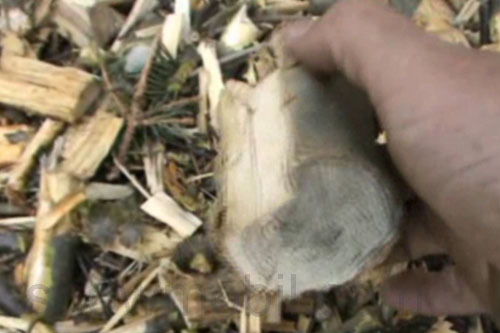 Therefore it is also possible to use smallwood for heating. Thitherto smallwood was seen as waste. 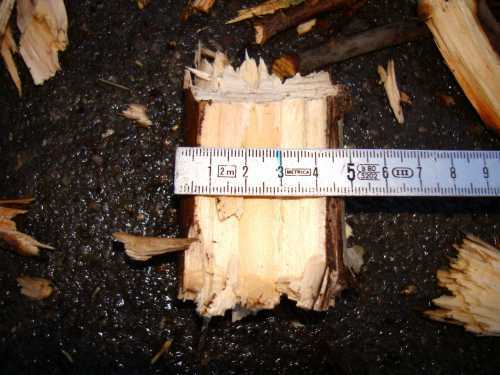 Due to the length of the chipped wood a better drying of the wood is given. 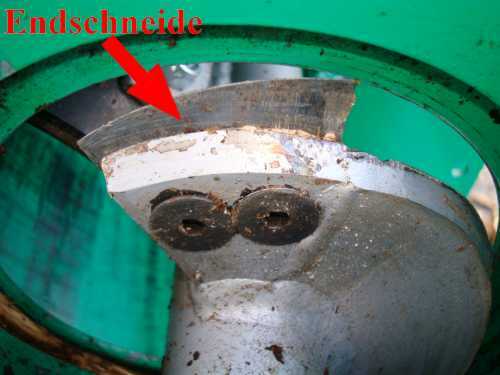 The sharpening of the cutting blade at the end of the spiral shredding roller can be easily done with an angle grinder. 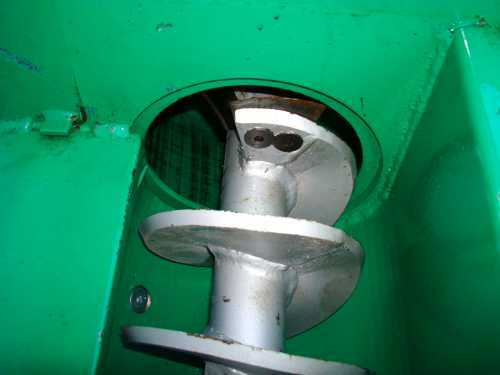 It is recommended to use a clockwise PTO with slip clutch.